Our company is engaged in offering a wide assortment of Hp101012aMeg RollerBuse. This superior quality Hp Meg Roller Buse is widely acknowledged for its renowned feature such as efficiency, low maintenance cost, high durability and superior quality. We take into account the international quality standards and offer the most suitable range of Hp Meg Roller Buse. We are reckoned amongst the clients for offering a quality tested array of Toner Blade. 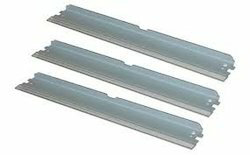 The Toner Blade we offer is widely demanded by the clients for their precise use and durability. These products are available in the market at industry leading prices. Safe to use these products are available at reasonable rates. Toner Supply Roller for HP color Toners and Samsung toners.